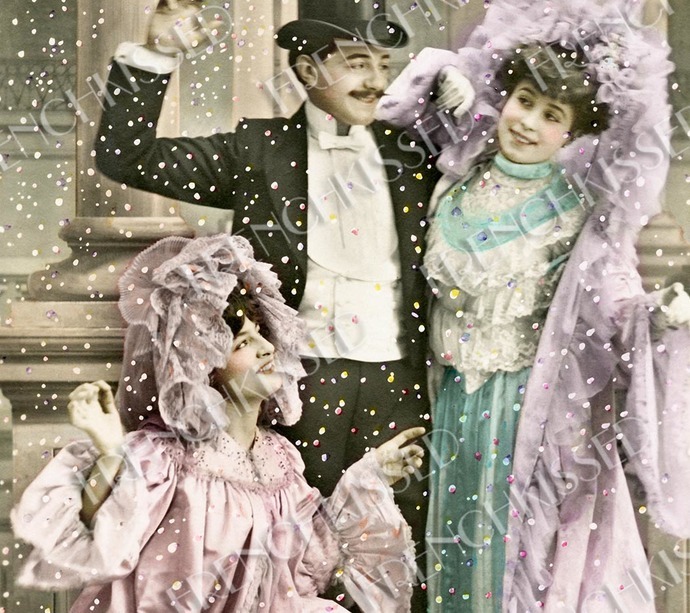 This French postcard digi can be used for most any celebratory event yearround, from New Year's to a special someone's birthday. 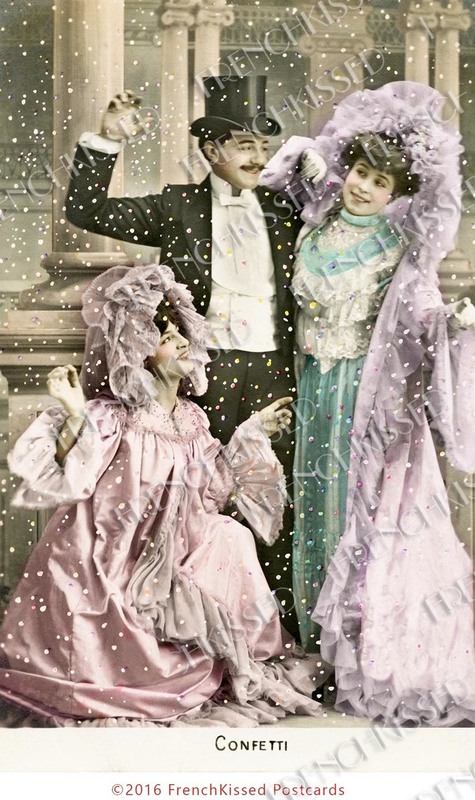 It was one in a series, simply entitled Confetti, depicting Victorian folks enjoying February's festive Carnival. 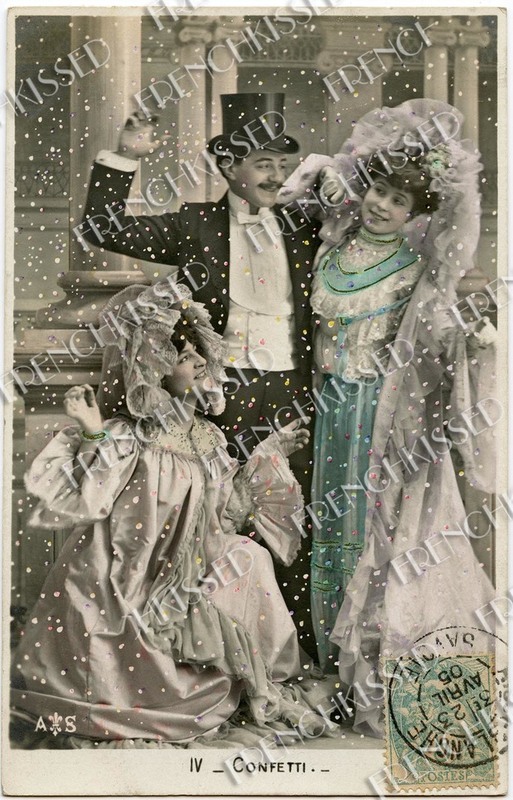 In the third photo, you see my original postcard, postmarked 1905. I've upcycled it with many layers of enhanced colors and tweaking in Photoshop. Turn it into a party invitation or a birthday card. Many options with this image that is as colorful as it is joyful. In fact, you can even pretend you're in Venice, world renown for it's Carnival festivities.